Wow, it goes to 11. We’re staying at the Mystays Nishi-shinjuku, I think. It used to be called the Nishishinjuku hotel and I’ve been staying here for YEARS. 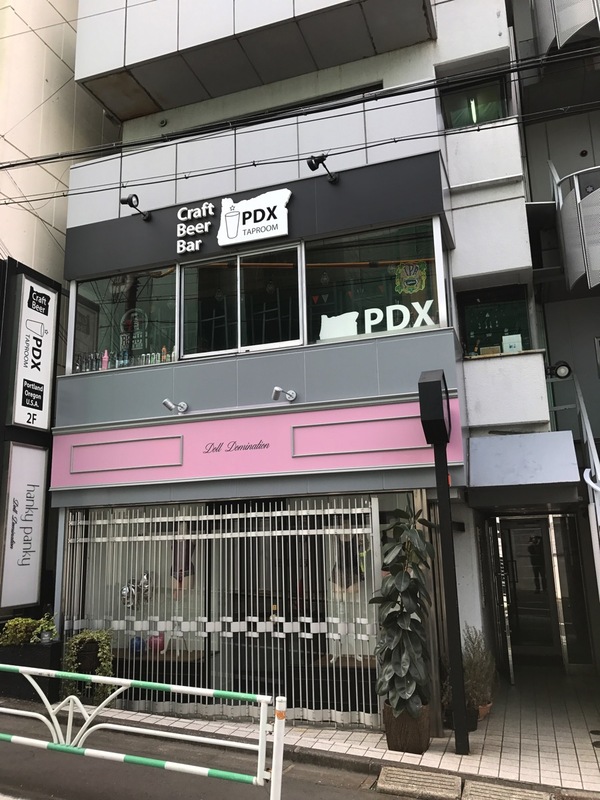 It’s not the best place, but it’s close to Shinjuku (a nice central spot in Tokyo) and except for one year it’s pretty reasonable. This year the restaurant downstairs is doing breakfasts again and it’s pretty good. I forgot to take a picture, but there’s only four choices so I’ll probably get one tomorrow. 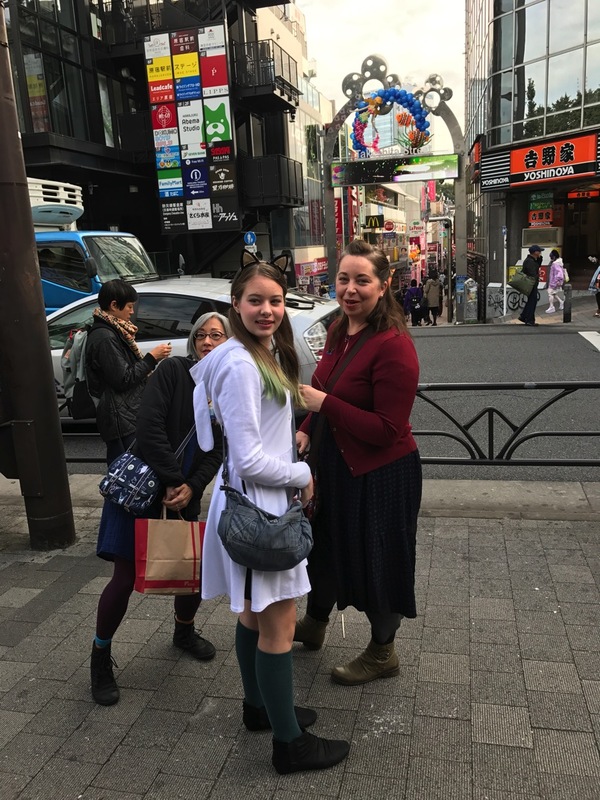 We went out to Harajuku and Omotesando today and since it’s Halloween, the young’un got dressed up again. We got there fairly early in the morning and the stores opened about 11 so we had to walk back and forth a bit. 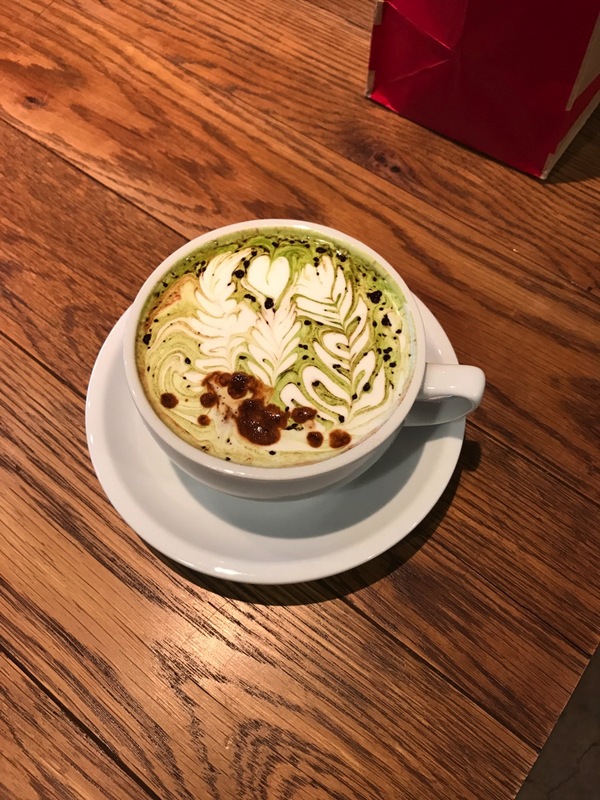 We did get to Streamers and several of us had the Military Latte (matcha and white chocolate latte). 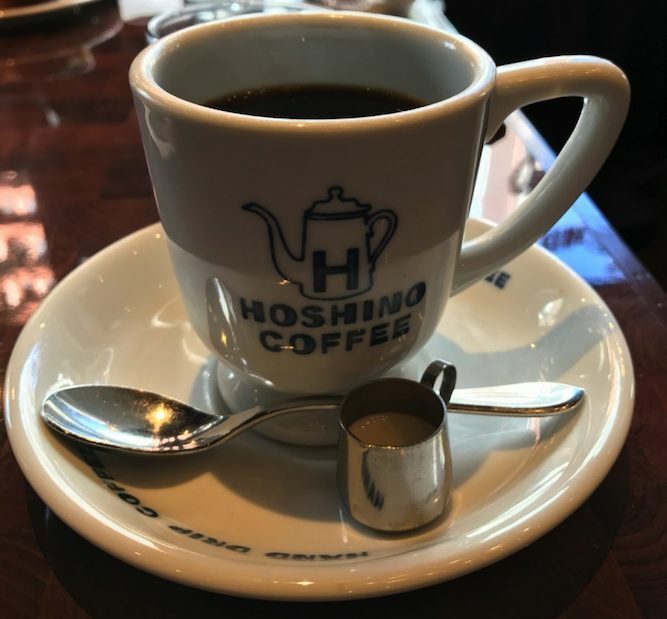 I was unsuccessful at maintaining the correct caffeine balance and felt slightly jittery. Streamers is also right near the PDX Taproom, a place I’ve only been to when it’s closed. 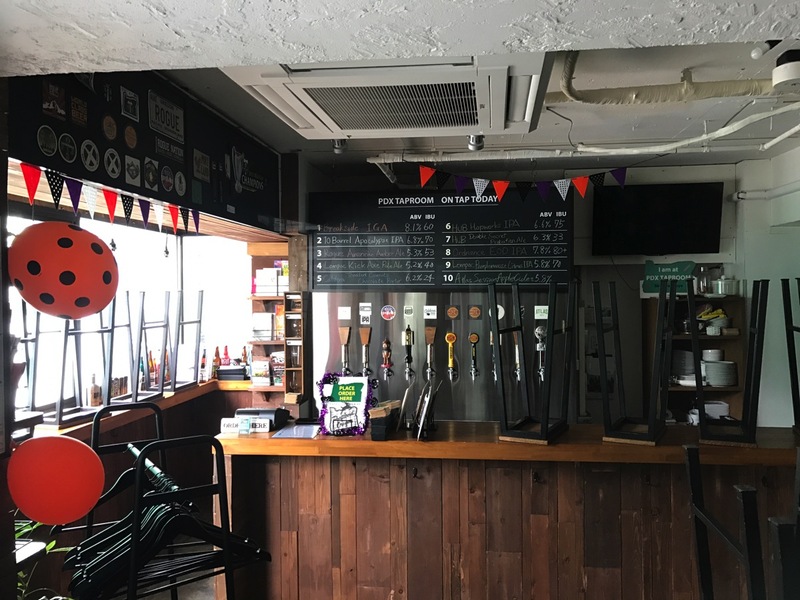 I even talked to the proprietor on her opening day, several hours before opening. Note the tap list is all things I can get when I get home. I am in Omotesando with my sister and her friends. Shopping. Basically I am in hell. 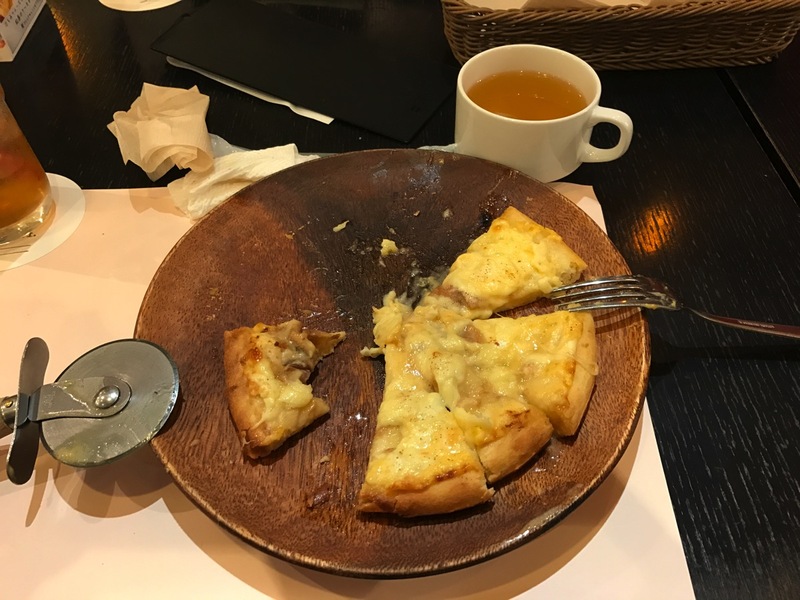 We had lunch in the Aoyama area and I ordered the bolognese, but the young’un in our group ordered cheese pizza and it was, well, unique. Sweet with a hint of cinnamon. She couldn’t eat it and I knew I could so we traded. 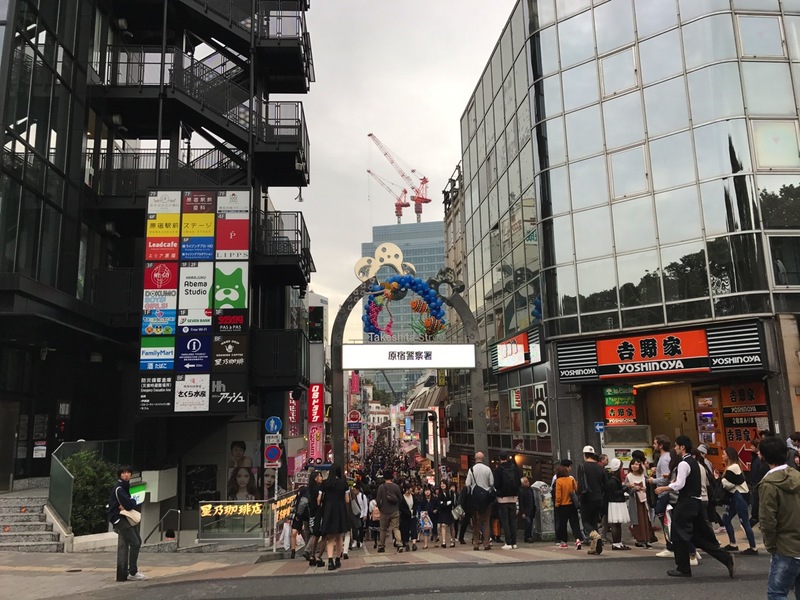 After that she and her mom had to do some shopping in Takeshita Street and it was a lot more crowded in the afternoon. We got back to the hotel and took a bit of a rest. Then off to dinner. Since it was 10/31, the young’un got dressed up for the occasion. 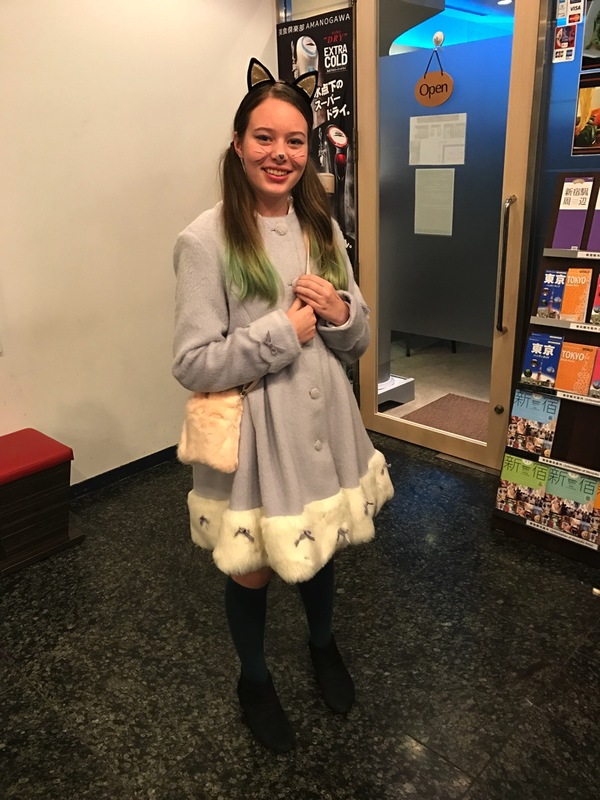 Note the stylish coat and purse she just bought on Takeshita Street. 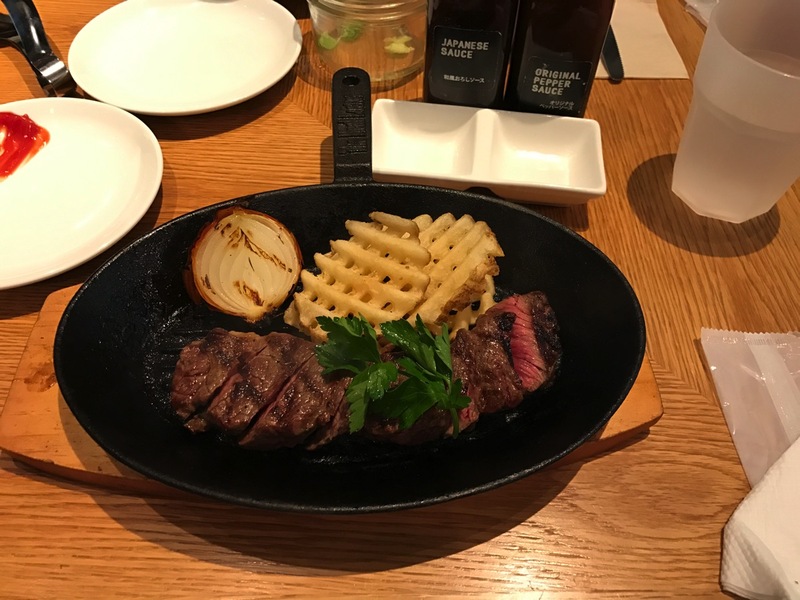 I suggested going to Takashimaya, and somehow I ended up with a steak. I figure this is my chance at eating some semblance of a steak this trip, unlike last year when I had two or three. Afterwards I finished my limited clothes shopping at Uniqlo and we headed back to the hotel. 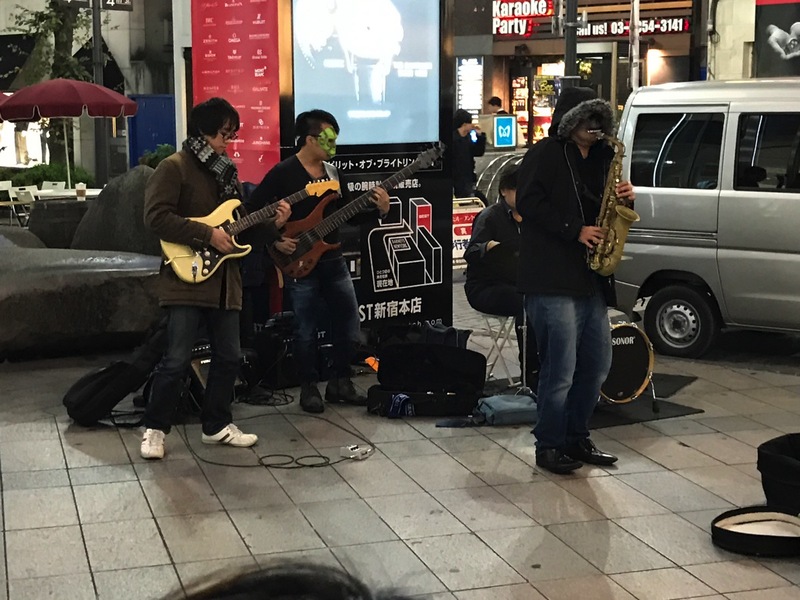 We saw a street band playing, “Isn’t She Lovely,” quite well and I was impressed that the saxophone player was able to play through his mask!